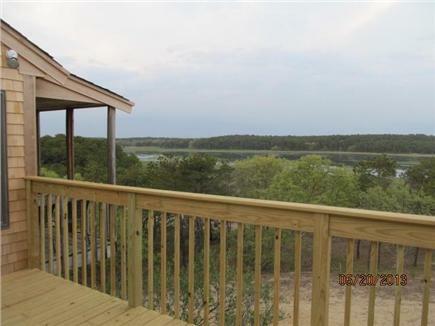 Relax and enjoy the summer breezes as you look at unobstructed views of the marsh and creek on Indian Neck in Wellfleet. 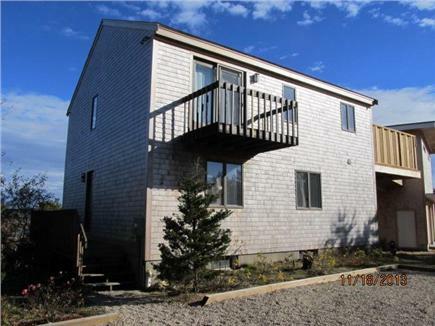 This sunny contemporary home is located on a quiet road, is only a short walk to two bayside beaches (3/10 mile and 1/2 mile) and a short drive to ocean beaches and freshwater ponds. 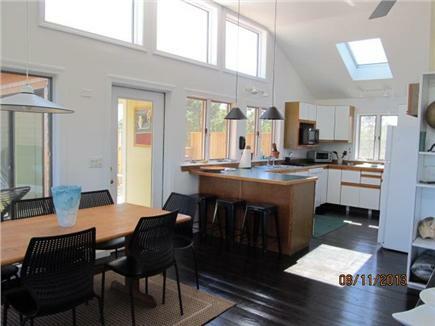 Windowed on three sides, the open upper level has beautiful views and is bright and sunny. 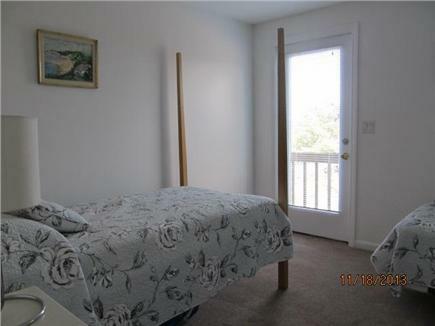 This floor consists of an open living/dining area with adjacent kitchen, a master bedroom (queen sized bed) and a full bath. 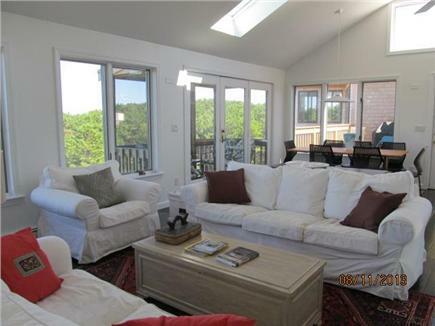 From the dining area glass doors lead to a deck with picnic table, gas grill and deck and lounge chairs. 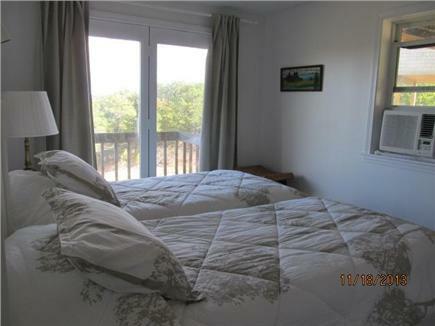 Another glass door leads to a small screen porch. 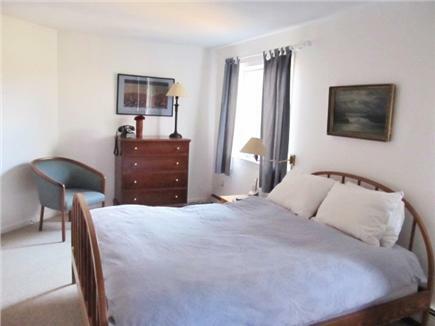 The first floor has three bedrooms (two with two twins in each and one with a queen), a full bath and a laundry area. 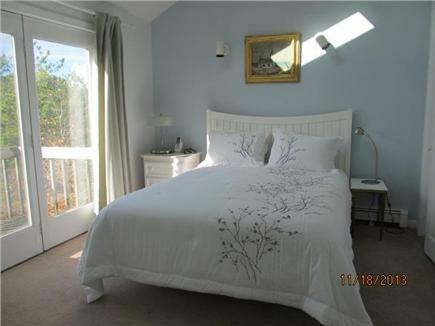 Both bedrooms with twin beds have glass doors leading to balconies. 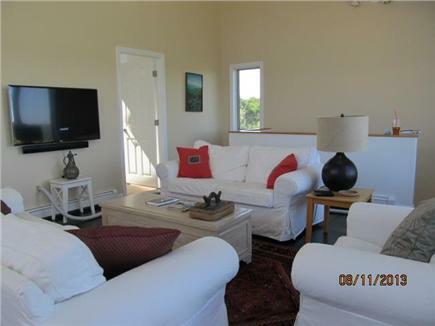 This home is located in a quiet area near conservation lands. 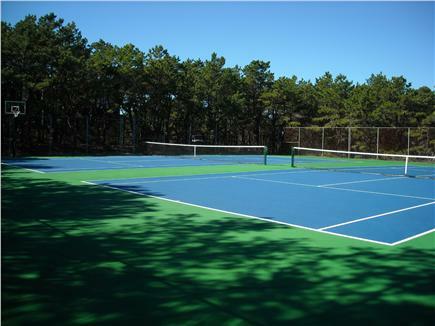 Newly resurfaced association tennis courts and beaches are within walking distance.